Bow season has now been closed here in Missouri for a week. Adam was able to harvest a doe on the last evening, ending the season on a high note. Although it’s only been one week without deer season the preparations for next year have already begun. Our Reconyx cameras stay out all year long. We are now in the process of taking an inventory of what bucks survived the hunting season and in what condition they are entering winter stress period. This information is valuable for multiple reasons. First and foremost we want to be able to monitor their movements and identify their core areas. This is especially true for the 3.5 year old bucks who will make the hit list for the upcoming season. We didn’t spend our time this fall trying to understand those deer and their patterns of movement. However, now as we prepare for next season we will we use this information to go back and look at trends in movement from those individual bucks that were recorded this past fall. This prepares us for the following seasons as deer are creatures of habit. 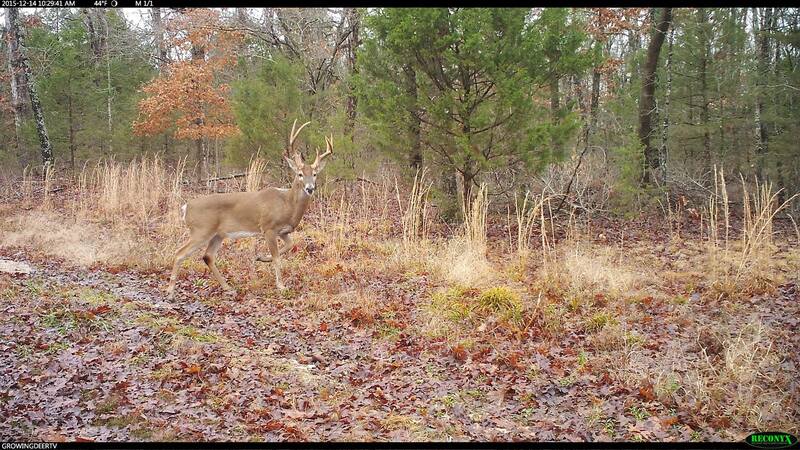 A buck may move under similar conditions within the same areas from year after year. If we have this information already recorded and analyzed then we can confidently go into our Summit stands the following season. In addition to keeping our cameras running all year long, we also keep our Trophy Rock Four65 locations supplied throughout the year. Deer need a supply of mineral year round especially during the winter stress period. Setting our Reconyx cameras on these locations allows us to gather the information we are looking for at this time of the year. We are watching and learning this buck’s movements. Although we cannot chase whitetails during the next few months we are going to actively prepare ourselves for the next opportunity. Make sure you keep your cameras running through the winter. The information gathered from the pictures will allow you to learn more about each individual deer. That information serves a greater purpose in the coming months!